A series of patents filed by Apple suggest it is developing health-tracking earbuds. 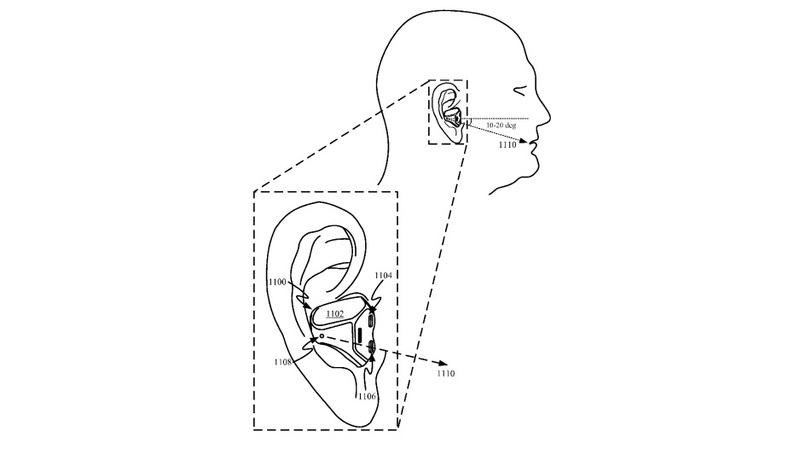 Each patent (viewable here, here and here) describes “earbuds configured with one or more biometric sensors” capable of making biometric measurements. The word ‘health’ is not mentioned in any of the three patents, but it’s reasonable to assume this would be the primary role of the devices. 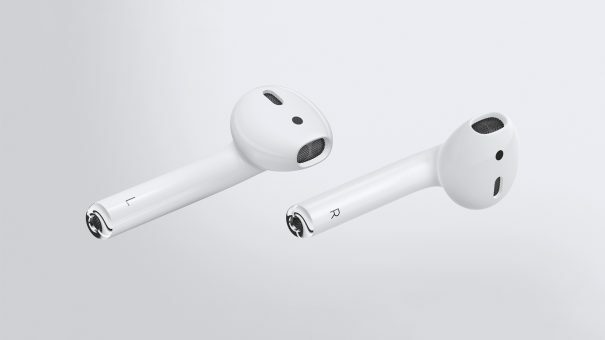 The plans make clear the sensors would be integrated into modified AirPods – Apple’s first wireless headphones, which were launched in December. AirPods are mentioned throughout the filings, including mention of a heart rate sensor, a VO2 sensor (to help determine blood oxygen levels), and a temperature sensor. In order to make the measurements, a photoplethysmography (PPG) sensor is suggested as a potential platform. This type of sensor is already present in the company’s Watch and shines light onto the skin and measure its reflectivity. Variations in reflectivity let the sensor measure the amount of blood in that particular patch of skin which can, in turn, indicate blood flow and heart rate, among other aspects. 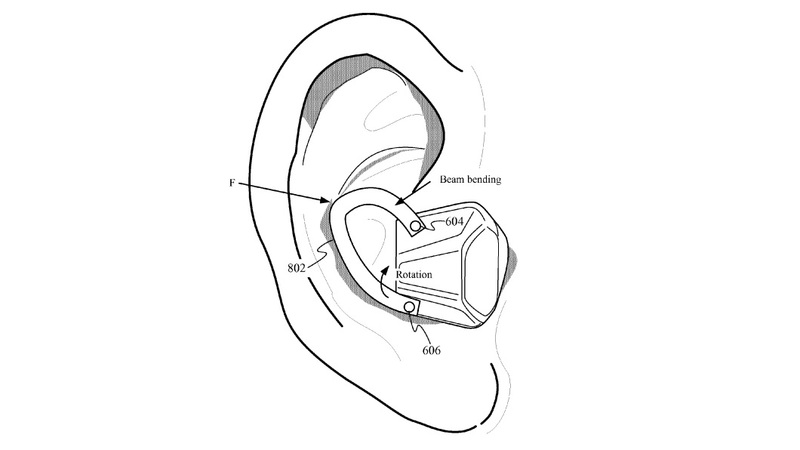 The patent filings show that the earbud will sit close to the tragus (the fleshy part of the ear that partially covers the ear canal) – as PPG sensors need to be in direct contact with the skin to be most effective. Other sensor suggestions include a GSR (galvanic skin response) sensor – used to measure the electrical conductivity of the skin; an electrocardiogram (EKG) sensor – to measure heart rate; and an impedance cardiography (ICG) sensor – to measure the total electrical conductivity of the thorax. The latest set of patents come just two months after filings were revealed for a potential range of future Apple wearable devices, including a heart rate monitor armband and a wristband. Each device would only become ‘active’ when worn. Not only do the patents go some way to confirming Apple’s progression into the health market, they also suggest it is looking for ways to either enhance or go beyond its Apple Watch. One future competitor will be Fitbit which recently confirmed its own venture into smartwatches and healthcare following the purchases of both Kickstarter starlet Pebble’s IP and Vector Watch. So could earbuds prove a success? The novel idea brings with it lots of practical obstacles. It seems doubtful that earbuds would be worn as consistently as, say, a watch, making data collection likely to be more patchy. Also, given the stigma around wearing hearing-aids, it’s questionable whether patients would be willing to wear similarly obtrusive earbuds to monitor their health. 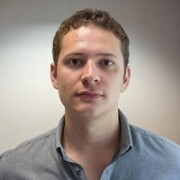 It’s also not clear whether the device would be a consumer-level wearable or a fully-fledged medical device. According to Strategy Analytics, consumer interest in the wearables market is flagging, having only grown 1% in Q4 of 2016.